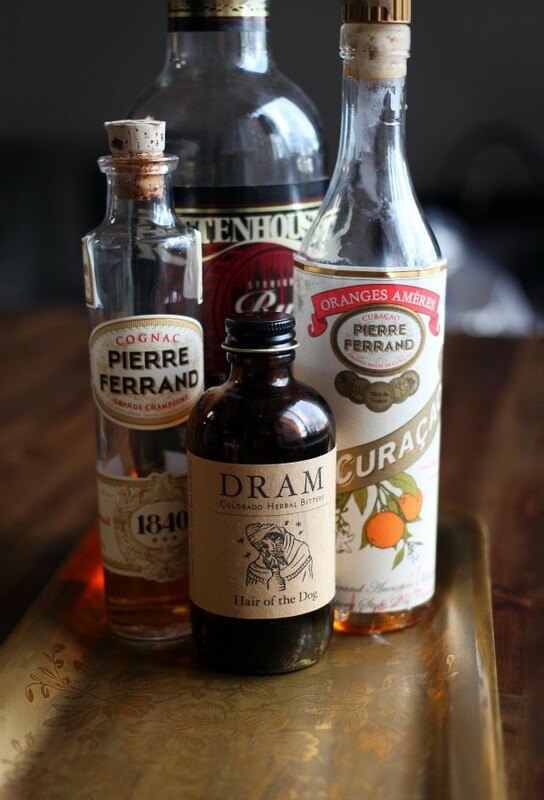 Add the Cognac, Rittenhouse Rye (or other 100 proof rye), Dry Curaçao and bitters to a chilled mixing glass. Add ice and stir until well chilled. Rinse a chilled cocktail glass with absinthe and then strain the drink into the glass. Garnish with a lemon twist. The nose is light and crisp with citrus and slight anise notes. The palate has accents of sugar, anise, pipe tobacco, allspice, lightly herbal with notes of citrus. Crisp and light on the tongue with a dry mildly bittered finish. This one is a touch drier than you might expect and is sure to warm you up on a cold day. I figured I’d start off this months Mixology Monday: Anise with one I’ve been really enjoying as of late. In case you missed it (and the link above), I’m hosting. Click here for the scoop. 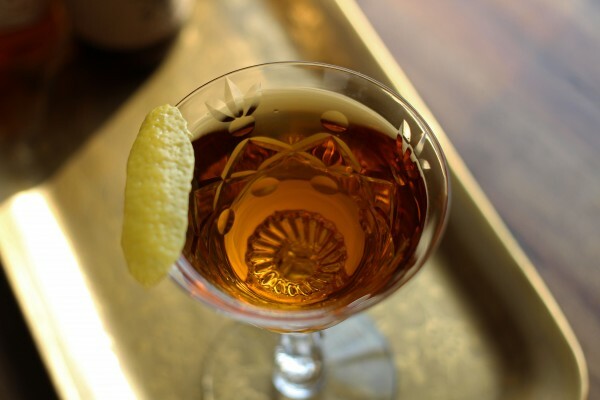 The Handy Bird features anise flavors in the form of an absinthe rinse and Dram Apothecary’s Hair of the Dog Bitters. A while back, I received some samples of a few of the products from the Pierre Ferrand portfolio. There were two I’d been meaning to try for some time, the Cognac and the dry curaçao. Needless to say, I’ve been enjoying them (because if I didn’t, I wouldn’t be wasting your time with them here). Both are excellent products. I particularly like the flavor of the dry curaçao. It’s got the orange flavor you expect, but is more, well… drier than other curaçao’s/triple secs and is one of the things that sets it apart for me. Don’t be surprised if you see a few more drinks with these sometime soon. 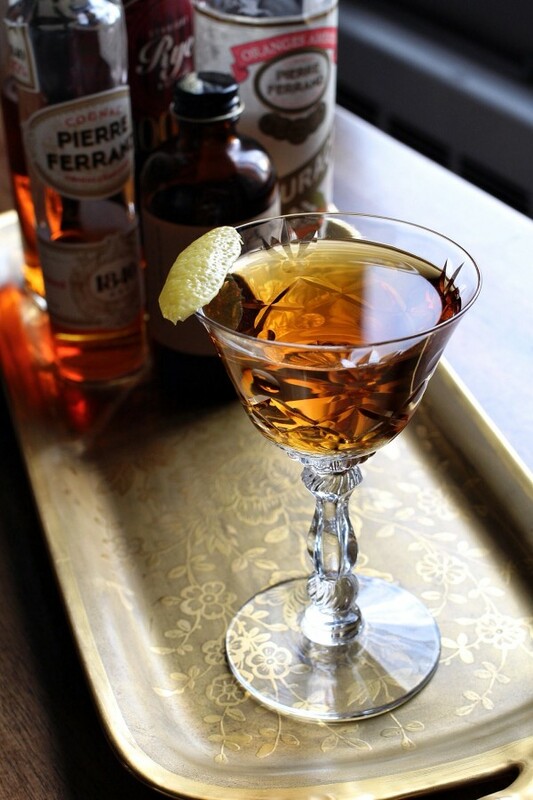 Having enjoyed my first foray into Pierre Ferrand (I still have a few other goodies to try), I wanted to make a drink using the Cognac and the dry curaçao. In addition to anise, colder weather is also a great time for Cognac. Mixing it with some dry curaçao was good, but I like drinks a little more manly boozy so I added some 100 proof Rittenhouse Rye to give it a little more backbone. Throw in some of Dram Apothecary’s tasty Hair of the Dog Bitters (which has an anise flavor) and an absinthe rinse and the rest is history. In the end, this one ended up tasting like a riff on a Sazerac, which was completely unintentional, but definitely delicious. 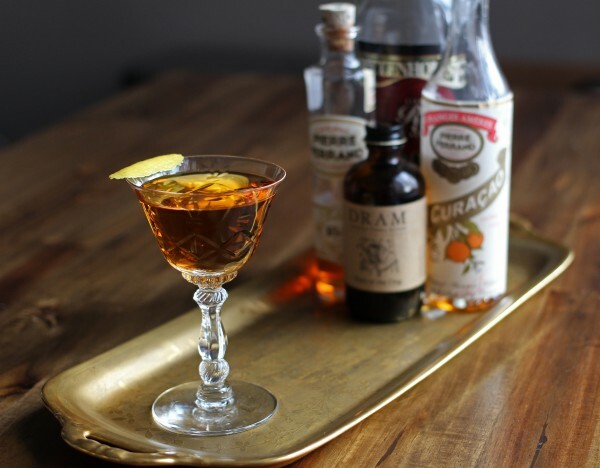 In it’s earliest form, credited to Andrew Bird, the Sazerac was made like an old fashioned except with Cognac. It’s more famous version with rye was created by Thomas H Handy. You see where I’m going with this… Anyway you can learn more about the Sazerac here. Eitherway, if you are a fan of this absinthe laced classic, you are sure to enjoy The Handy Bird. Stay tuned for more Anise themed cocktails over the next couple weeks and be sure to submit one of your own for this months Mixology Monday.